Jasper Carrott, Ozzy Osbourne, Simon Bates, Peaky Blinders, Bob Carolgees and Spit, Richard Hammond, Kiroy-Silk, Crossroads Motel, Mr Blue Sky, UB40. Your boys gonna take a hell of a beating! It has become common over recent seasons to hear the term game management to describe the dull final twenty minutes or so of a match where the team in command ceases to press home the advantage while their opponents lack the ability to do anything about it. When it comes to the third round of the FA Cup, which sits at the end of a packed holiday schedule, it has become a case of witnessing season management – managers looking to select a team with just enough quality to get through without the risk of further injury or fatigue. In years gone by, the third round of the FA Cup was one of the most eagerly anticipated dates in the football calendar; but it is now firmly in the shadow of Premier League money-go-round and the quest for final standing merit payments. The cup now only really comes into its own, as far as managers and the media are concerned, in the later rounds with the final managing to retain a good part of its allure. At the old Wembley stadium, there were famously 39 steps from the pitch up to the royal box where both Bobby Moore and Billy Bonds climbed to receive the challenge cup trophy. This season marks the 39th anniversary of the last of those memorable victories. Is it be a step too far to imagine Mark Noble raising the cup aloft with a claret ribbon when May comes around? Can Manuel Pellegrini manage his depleted resources and navigate a course all the way to the Wembley Arch? The majority of supporters love a good cup run although the definition of what would constitute good is uncertain. While going all the way is fantastic, elimination before the sixth round doesn’t really carry much of a distinction or merit even a footnote in history – personally, I even have mixed feelings about the 2006 final; a great day out at the time but I have never been able to relive the experience by watching the highlights ever again! Even under Avram Grant (the second worst West Ham manager ever) there were two barnstorming cup runs – reaching the sixth round of the FA Cup before losing to Stoke City and going one step further in the League where the Hammers lost in a two leg semi final – to Birmingham City! 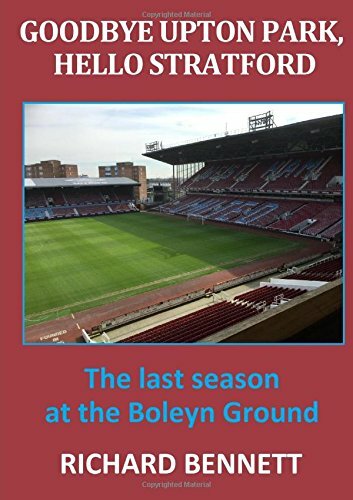 It is perhaps easy to look back with the knowledge of hindsight and say that the experience of the cup runs trumped eventual relegation but that could easily have turned out a lot worse for the club. In financial terms winning the cup is only worth a league place or two but the memories for supporters last a lifetime. It is a difficult balance for managers to handle. At least the manager has the cushion of a comfortable league position as his backstop. Pellegrini says that the cup is important to him and it certainly represents a more realistic route to winning a trophy than league success. But winning the cup has still been dominated by the big six during the Premier League era and, more than ever, requires good fortune and a lucky draw – providing both an easy path forward for us and allowing the bigger teams to eliminate each other on the way. Pellegrini will be wanting to give a break to key players this afternoon, particularly those that have played almost every minute; such as Felipe Anderson, Declan Rice and Issa Diop – although it may not be possible in every case. Who, for instance, is available to cover for Diop? New recruit Samir Nasri will play some part but probably no more than a half. With such a long injury list there is not too much on the fringes of the squad to get very excited about and it may well mean another outing for the odd striking couple of Andy Carroll and Lucas Perez. Apart from Gray Diangana and Xand Silva there has been little indication that the manager is seriously considering others from the academy as first team players right now. Conor Coventry and hopefully Nathan Holland will make it onto the bench alongside Anderson and Marko Arnautovic who are likely to be held in reserve. The Two Daves will be keen to welcome their former club to the London Stadium, like a man trying to impress on his ex-wife how well he has been doing since the divorce. It is strange not to have a club from England’s second city in the Premier League and with Birmingham (as well as Villa) just off the pace in the Championship, perhaps their minds and priorities will also be somewhere other than the FA Cup. Manager Gary Monk who had a bright start to his managerial career at Swansea City, but subsequently struggled at Leeds and Middlesbrough, appears to be finally getting some consistency at St Andrew’s. From what I have seen and read about Che Adams, he is just the type of player to give the Hammers the runaround and will need to get kept on a tight rein. I was never one to attend many away games outside of the capital but, courtesy of a friend giving me some Persil tickets, I did travel to Birmingham to see the fifth round tie in 1984. It was quite possibly the most miserable footballing experience of my life where the fighting started in the bar at Euston and remained a real and constant threat throughout the day. A tepid West Ham performance and a 3-0 defeat did nothing to improve matters for the long depressing ride home. The referee today is Roger East from Wiltshire who was last at the London Stadium for the win against Burnley. As much as I would love to see West Ham sweep aside their lower league opposition, game management and season management will not allow that to happen. This will be no Macclesfield (or Tranmere!). It is even too tight even to be viewed as an upset – a banana skin without much potential, in fact. Keeping the faith, however, I will rely on the Hammers putting in a spirited performance and securing a single goal victory.